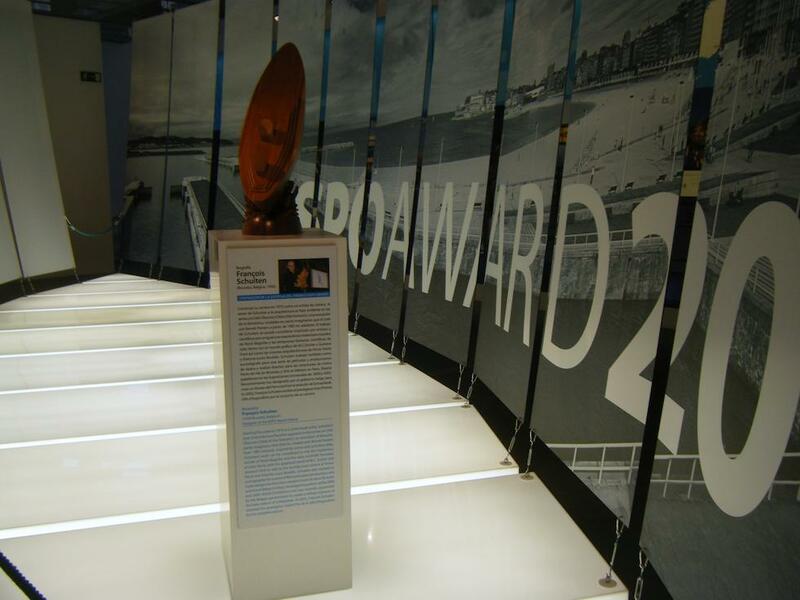 To promote the efforts made by different European ports to enhance the city port relations through innovative projects, ESPO decided in 2009 to give out an annual ESPO award on Societal Integration of Ports. 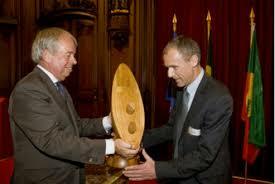 After the two first editions, it was decided to focus each year on one different aspect of societal integration 1). 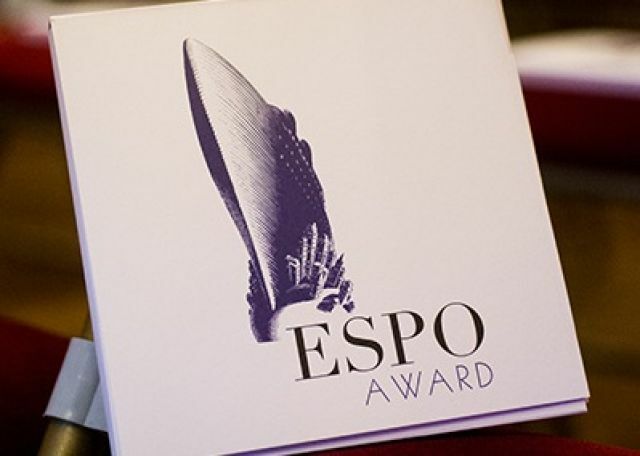 In 2009 François Schuiten was commissioned to design this ESPO Award 2). 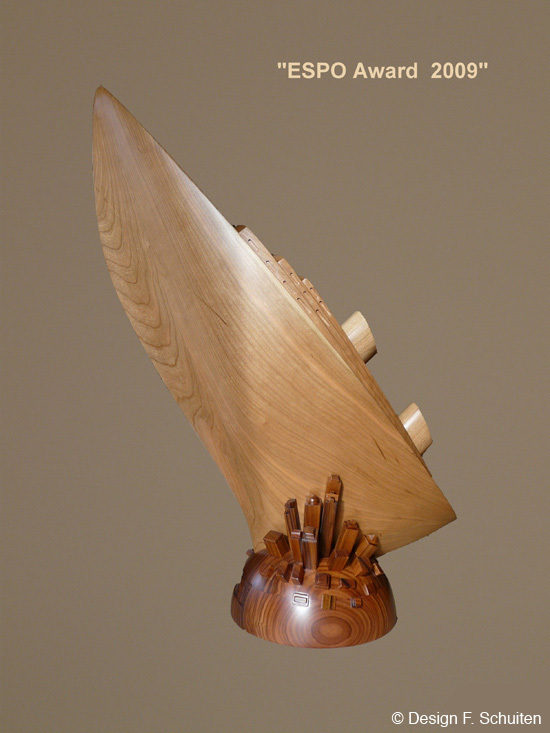 His design was used for the first seven years of this award, until 2015. 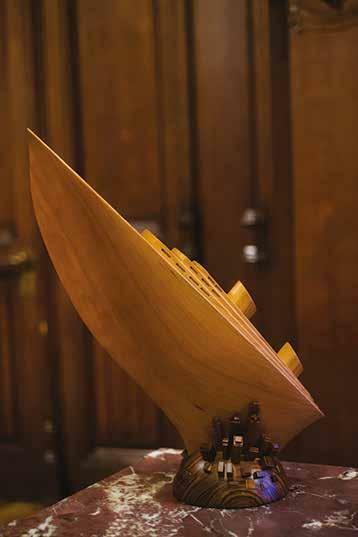 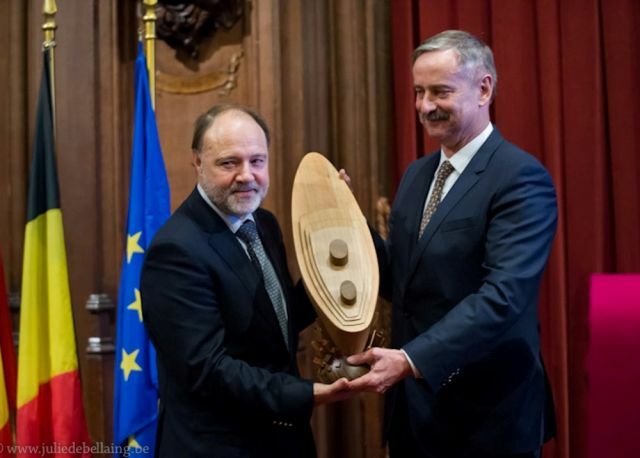 The award sculpture was made of wood by Karl Theiss based on the design of Schuiten. 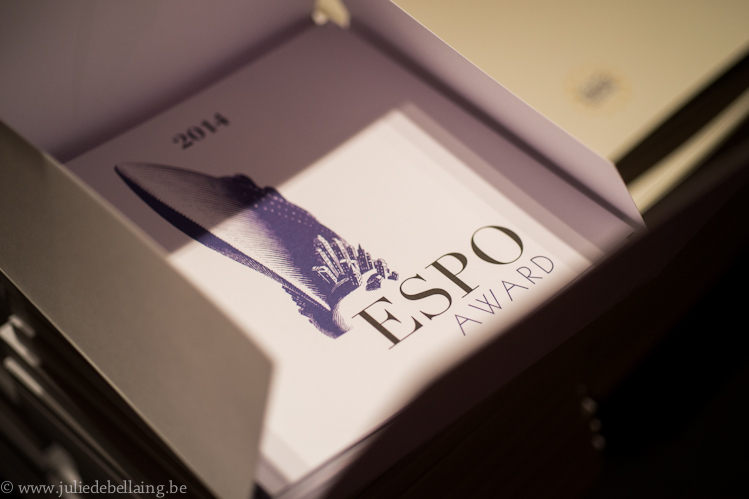 Some other images of the ESPO award during the years.